Looking for the perfect fall book to read? Try Frankenstein! 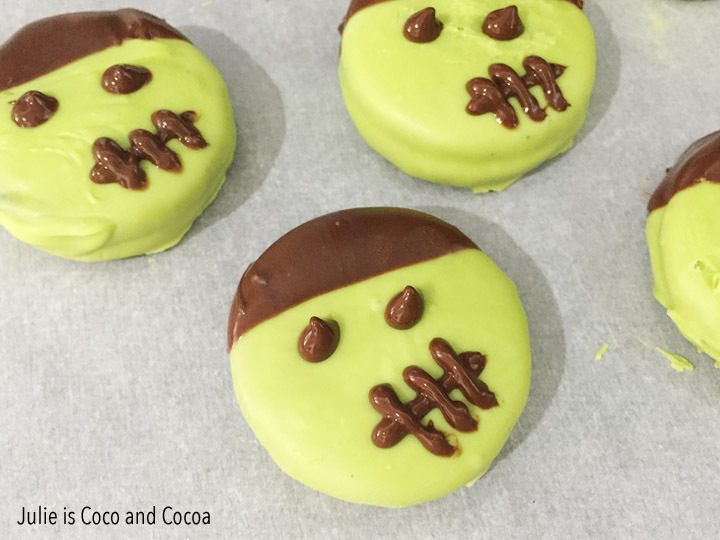 These fun Frankenstein Cookies were inspired by the Mary Shelley classic. If you’ve read Frankenstein then you know that Frankenstein isn’t actually a green monster. In fact, he isn’t the monster at all. Frankenstein is the doctor, and his monster is referred to the creature in the book. I first read Mary Shelley’s Frankenstein for one of my college literature classes and while I was completely frustrated by the choices some of the characters make, I adored the book. If you have never read it before, I highly recommend it! 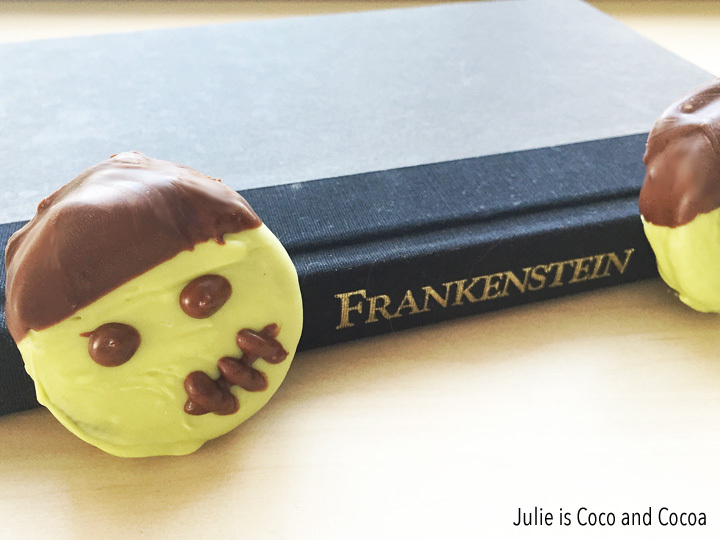 While you are reading Frankenstein, you’ll definitely want a sweet book inspired snack. 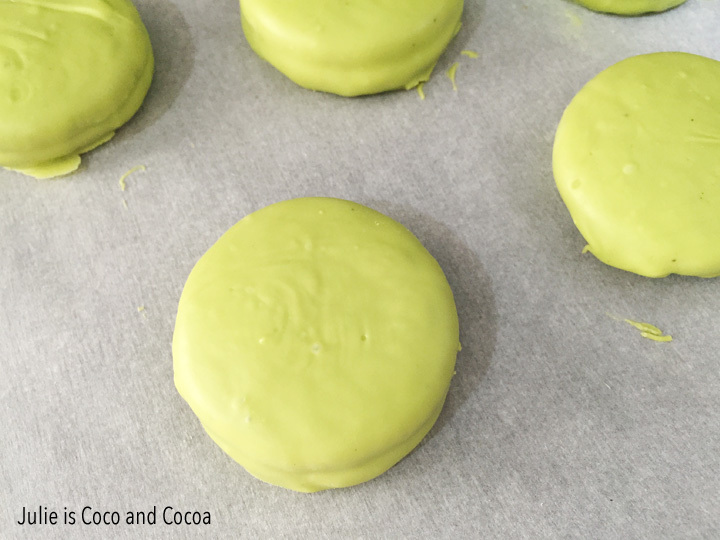 Place cookies on sheet of parchment paper and allow them to cool/harden. 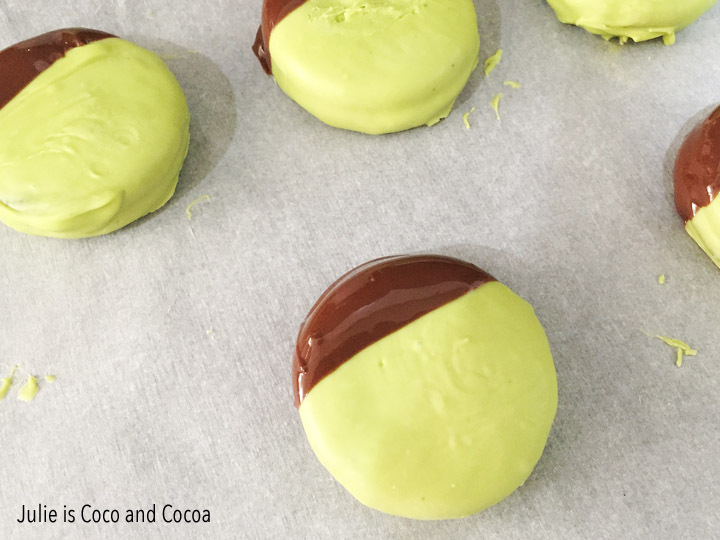 To create Frankenstein’s hair, dip the top of the green cookie in milk chocolate. 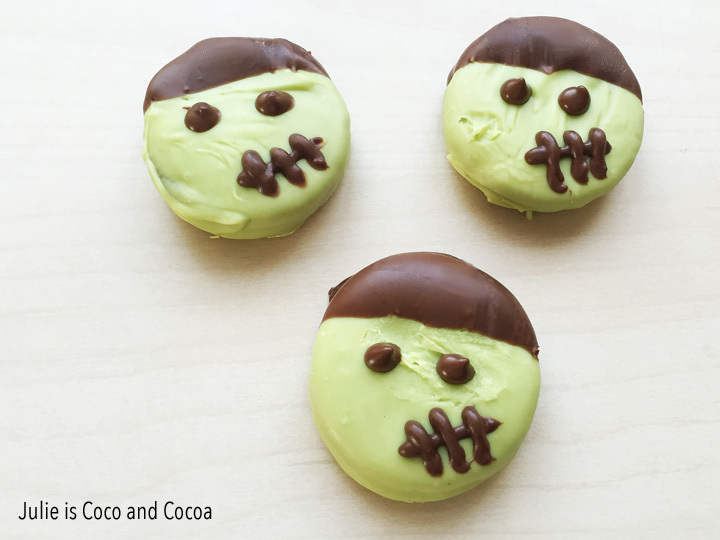 Allow your Frankenstein cookies to harden and then they are ready to eat. 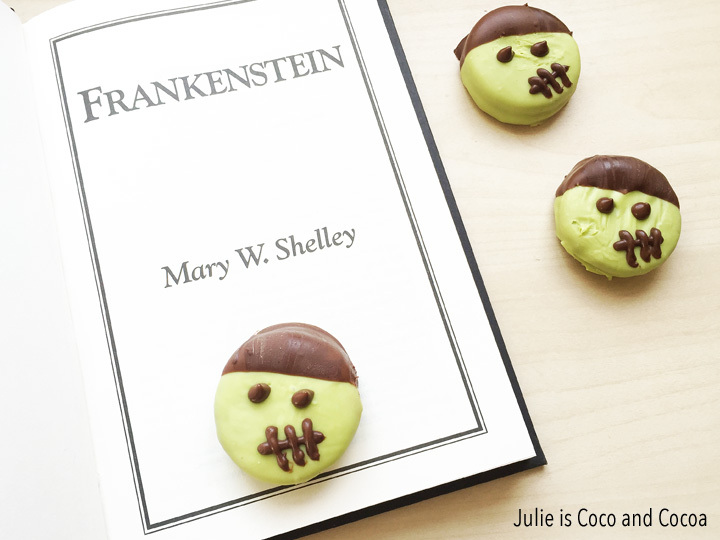 Make your own Frankenstein cookies, and then settle in for a good read! Have you already read Frankenstein? What was your favorite part? Wow! Cute! I pinned at the Pinterest board. Thank you for your participation at Tasty Tuesday Creative K Kids. Very creative. Thanks for sharing with us at #Throwback Thursday. Hope to see you again this week.